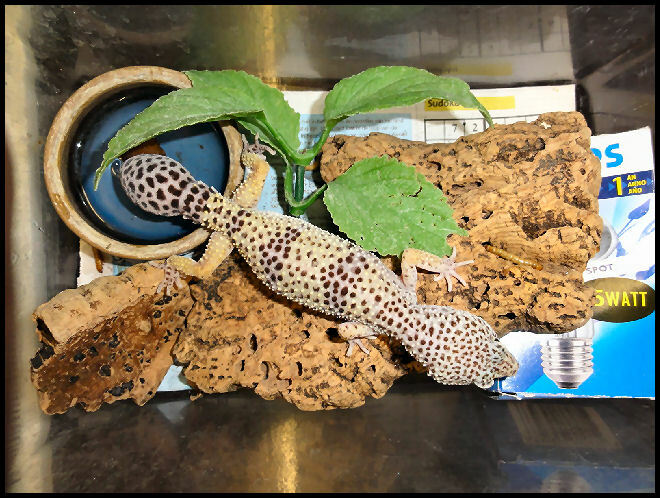 On the same quarantine that I mentioned before (Animal cruelty 1 & Animal cruelty 2) live some Leopardgeckos (Eublepharus macularius) that are confiscated by the Dutch government. The management of the reptile zoo takes care of them and gets paid for that. I was told that they get around 1 euro per animal per day for the care. That is around 365 euro per animal per year! What care do these geckos get for this money? 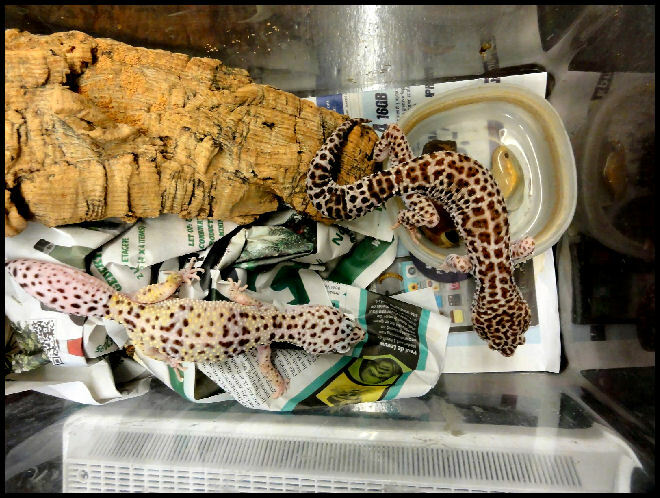 These leopard geckos are housed in very small faunariums with the following measurements: 23 x 15,5 x 17 cm. 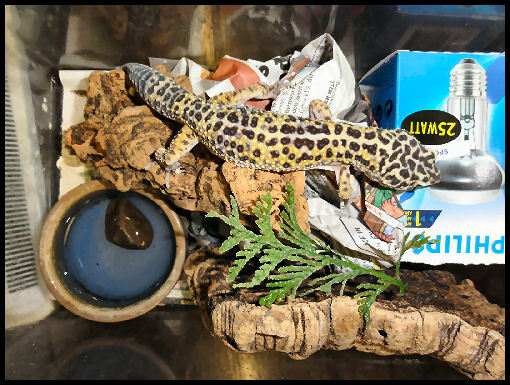 The leopard geckos are 13 to 15 cm long!! They can hardly move. These animals also do not get extra heating and illumination, so their ambient temperature is around 24 degrees C.
These faunariums are too small to contain a hiding place with a humid substance. This is necessary for Leopard geckos! Thanks to that (and insufficient food) their toes and fingers die and will fall of. A few times per week they are fed. They get 1 or 2 crickets (crickets cost money!) supplemented with 10 to 20 mealworms. 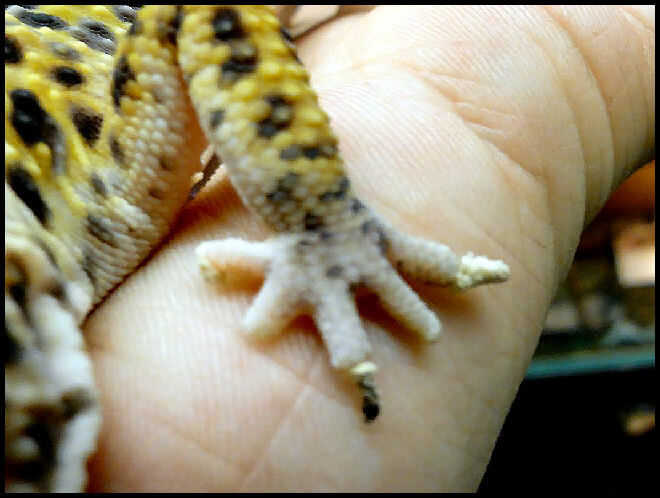 Leopard gecko. What you see is the whole enclosure in which it has to live. 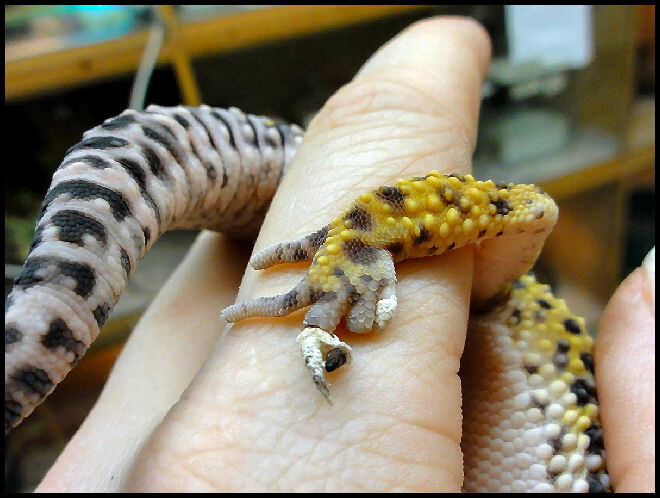 Leopard geckos. What you see is the whole enclosure in which they have to live. There are also other small, confiscated lizardspecies housed and cared for in the same way for the same financial compensation. 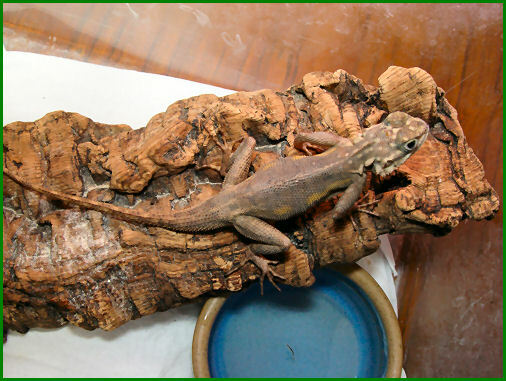 For example Lacerta virdis, Mabuya multifasciata, Gekko gecko and Agama agama. These species need to be housed in large terrariums with a heath lamp. They all are very stressed in these small faunariums. Agama agama, female. What you see is half the enclosure in which it has to live. 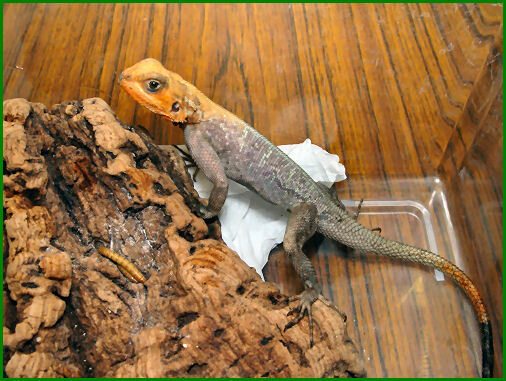 Strangely enough there also were some Leopard geckos on the same quarantine that were favorites of one of the management members. These were housed in a terrarium with a heath lamp. This animal enclosure was around 100 x 50 x 50 cm. In this reptile zoo there is clearly a double standard and the confiscated animals draw the shortest straw. You would expect they get the best care possible, since the Dutch government pays the zoo many hundreds of euros to do so.